of good times, shared joys, and common interests. held Easter treasures from her to me this year. She left it upstairs for me to find. while she was living in New Hampshire. I got her to teach me how to make baskets, too. in water to make them pliable. Then using Rit Dye, we dyed them. Dark pinks, mauves, and purples. to create baskets made with love. holding reeds to get the baskets just right. all became gifts to friends. last seen, empty, sitting alone. Perfect for Easter! I always liked baskets around me and find many reasons to use them here and there! That is such a sweet story! I have always wanted to learn how to weave baskets... That is a beauty! Happy Easter to you and yours Judith. 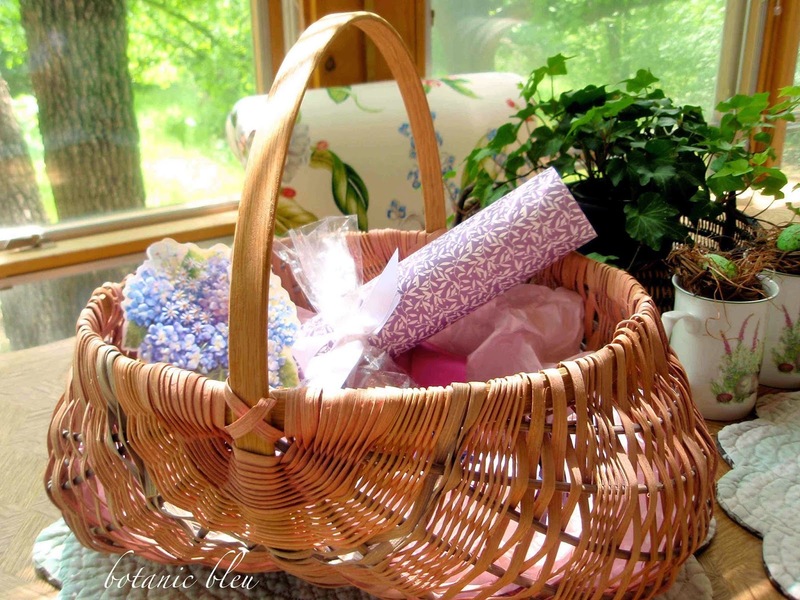 I loved reading about this basket and how much it means to you. Love those things that are made with love. Happy Easter! That's lovely, Judith! A very nice post to read this Easter morning! Happy Easter!